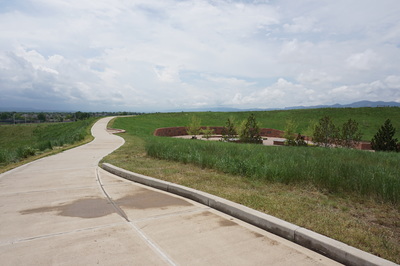 Directions: From the intersection of Wadsworth Blvd. 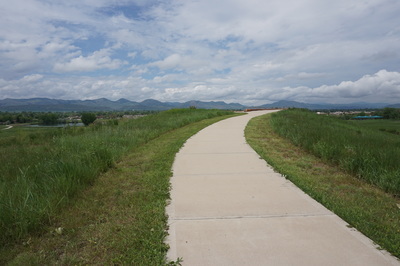 and West Bowles Avenue, head east on Bowles to S. Pierce Street. Turn right (south) on Pierce and turn right (west) into the park parking lot. 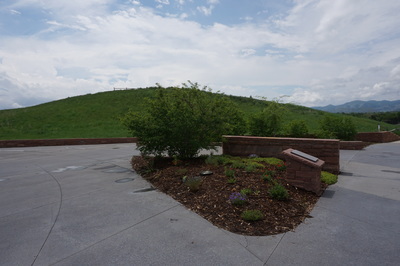 Follow the signs for Columbine Memorial and park in front of the sports maintenance building. 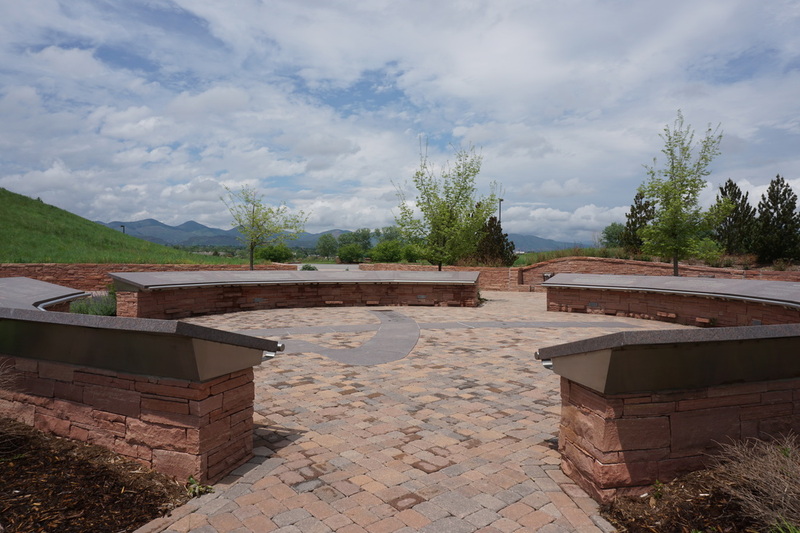 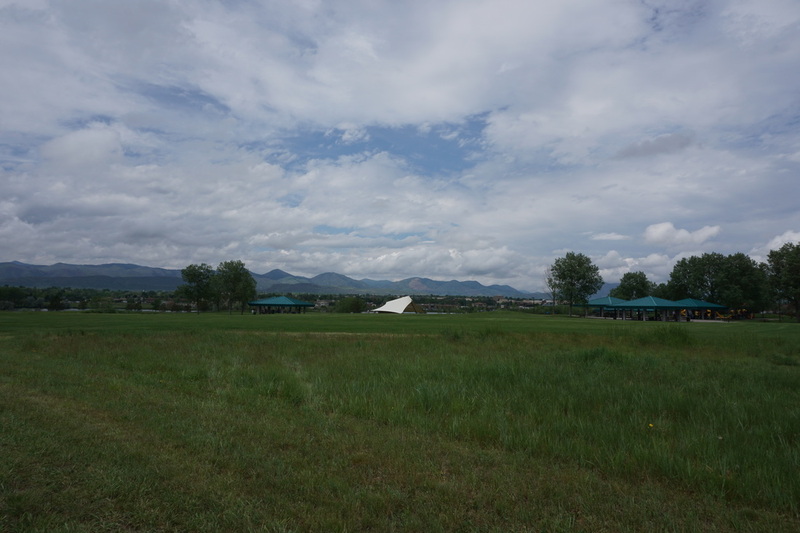 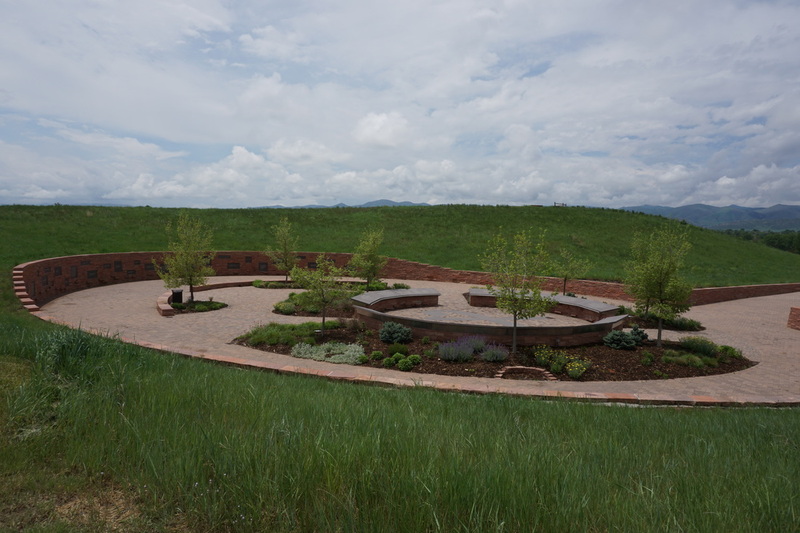 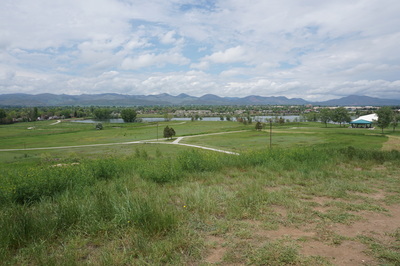 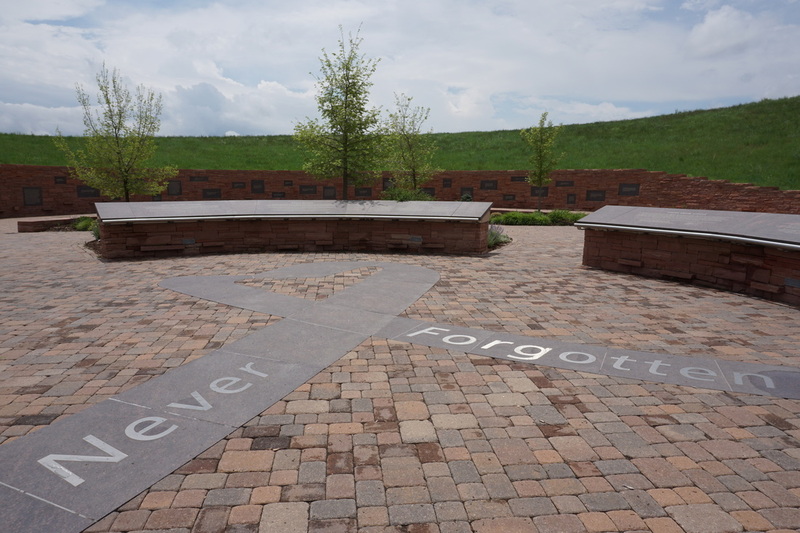 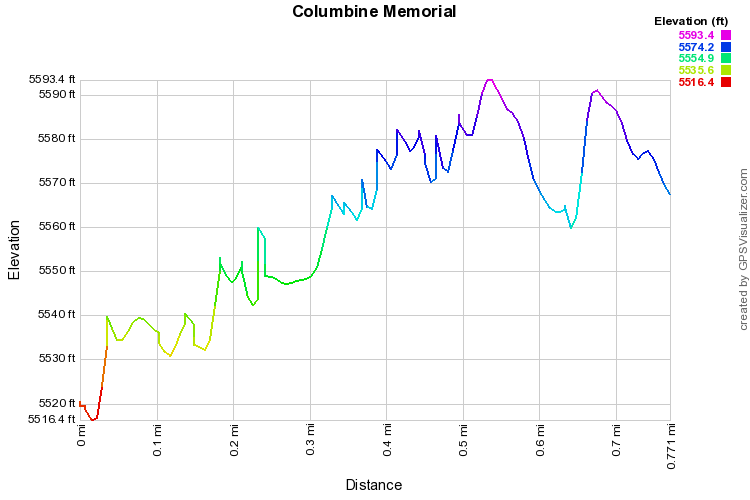 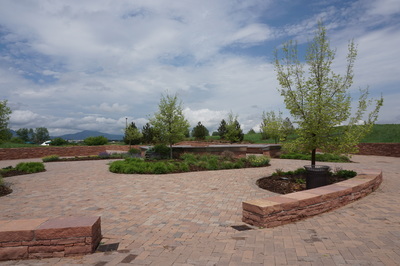 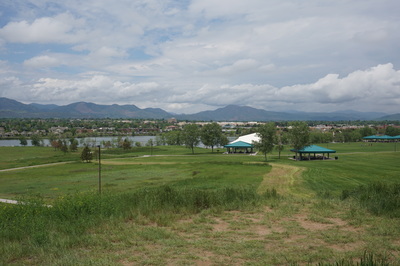 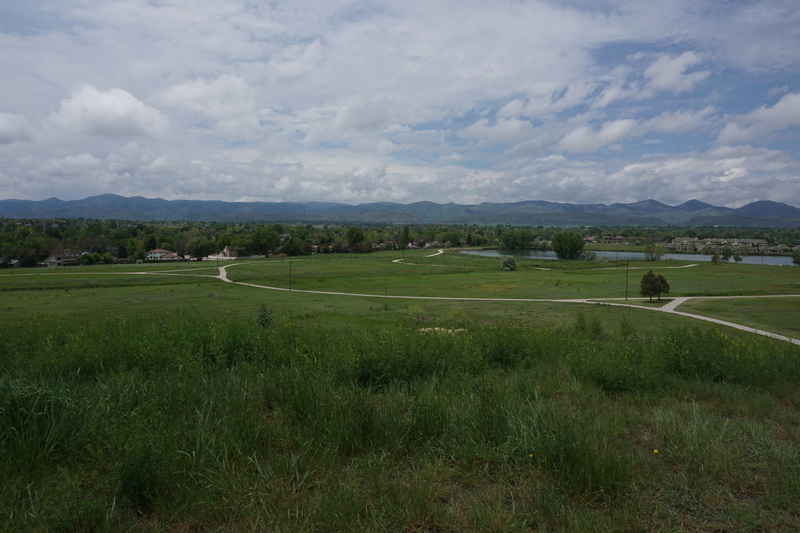 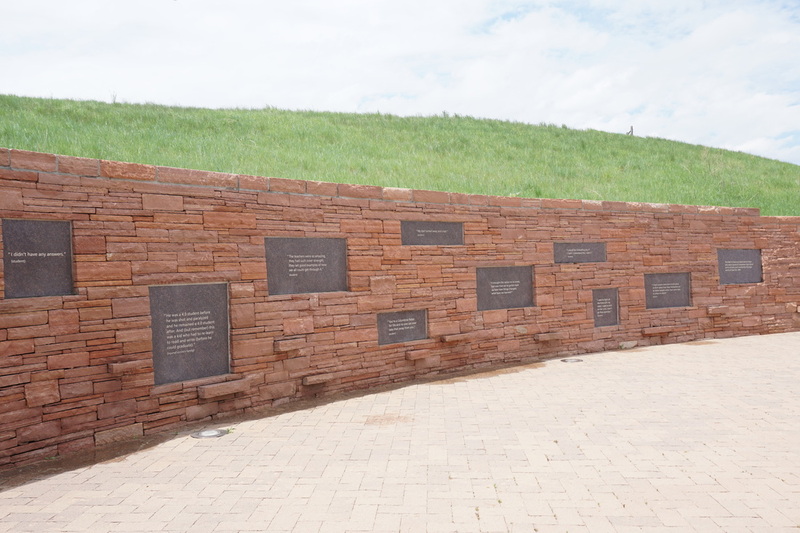 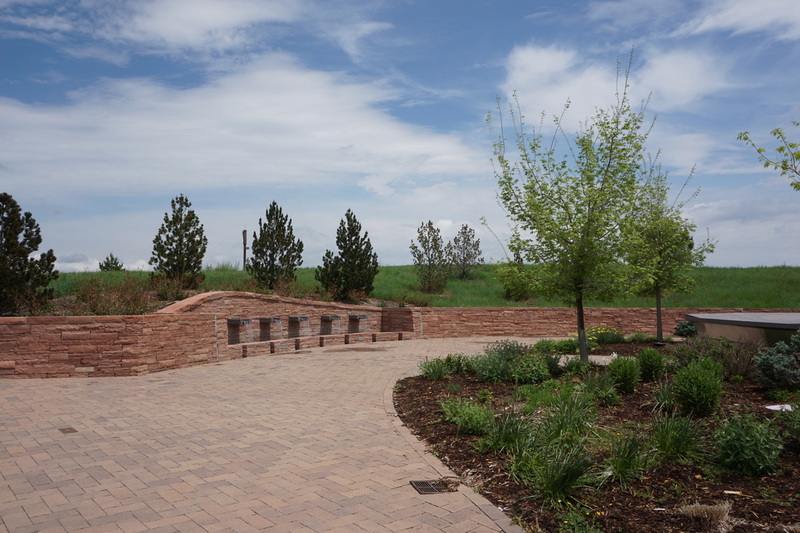 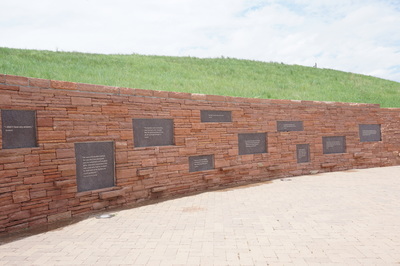 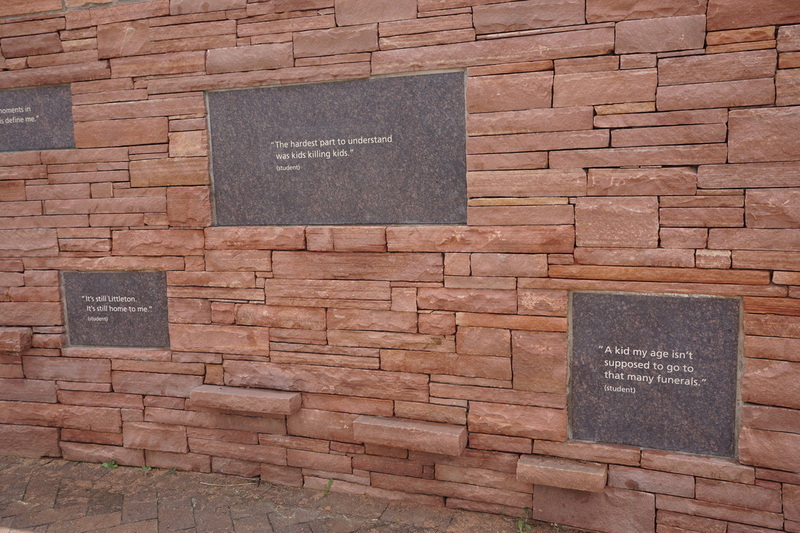 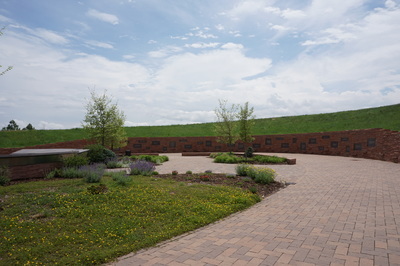 The short walk up to the Columbine Memorial follows a paved trail through the sports fields of Clement Park. The memorial itself is beautiful and touching. 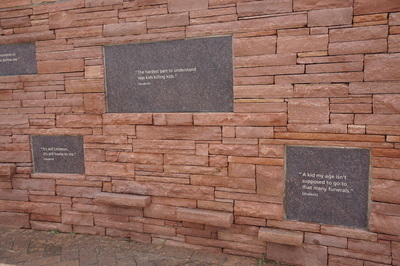 The memorial consists of a number of plaques commemorating the victims, a wall of quotations from students, and a short walk up the hill to a wonderful lookout/viewpoint. The memorial is a fitting testament to the bravery of the students and a reminder of a dark day in Colorado...contrasted with a beautiful view of the Front Range Foothills.